Ancient American Indians sustainably sourced and cultivated three of their most important crops: corn, beans and squash. They called these foods the “three sacred sisters” because the plants protected and nurtured one another as they grew. 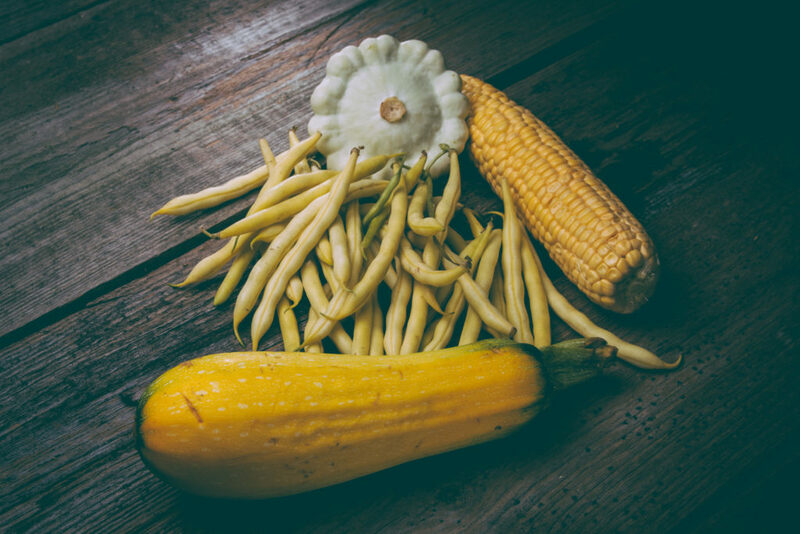 The corn was planted in a mound of earth, the beans were planted in a circular pattern around the corn stalks and the squash seeds circled the beans. As the sacred sisters grew, the beans climbed up the cornstalks and the squash leaves shaded the tendrils put out by the beans. Holly Arnold Kinney’s Shinin’ Times at The Fort cookbook features several recipes that pay homage to the trio, including the Heirloom Three Sacred Sisters Salad. As the weather begins to cool, we encourage you to pay tribute to these hearty ingredients with the recipe below. In a skillet over medium-high heat, melt the butter. Add the diced chayote and sauté for two to three minutes, until slightly softened and beginning to brown. Next, in a salad bowl, combine the vinegar, lemon juice, sugar and tarragon. Gradually whisk in the olive oil. Taste and season with salt and pepper. Add the corn, beans, squash and bell peppers. Toss the salad, then let chill for one hour. Garnish with fresh cilantro and toasted sunflower seeds prior to serving. Enjoy!